A Yearlong Journey of Healing; An Inner Quest to Your Soul, is a yearlong, online training, taking you on a healing journey through the shamanic medicine wheel, applying these ancient practices of medicine to your everyday life. Starting at the Summer Solstice, June 21st ,2018, when the seasons once again turn towards the long nights of the winter, you will start your own healing journey diving deep into the dark, moist earth of Pachamama – our mother earth – entering the first archetype of the wheel: The Serpent. As the seasons changes, so will you. Through monthly assignments, personal healing sessions and coaching combined with shamanic healing practices and your own astrological natal chart, you will be safely guided through the medicine wheel on a yearlong journey to healing. Spending three months with each of the ancient archetypes you will learn how to connect and create a more intimate bond with the energies surrounding your everyday; the embrace of the Earth holding you, the guidance of the Sun, Moon and Stars watching over you, as well as to the wisdom of your own heart and soul. Who were you before the world told you who you should be? Together we will create a safe space for you to restore, rebuild and come back home to yourself. A space where you can shed all that doesn’t serve you anymore. A space to heal your wounds and bruises. A space of trust, surrender and letting go. Slowly, as you learn to tune into the rhythm of the earth and the divinity that is your body, you will gradually start to move from a place of fear to a place of empowerment, journeying back to the essence of who you are and who you were meant to be. 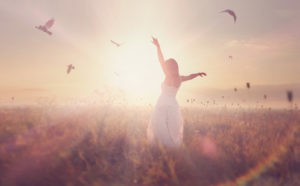 And, as is only possible when having had the courage to be free of one’s past: learn how you can step up onto our soul’s highest path, dreaming your world into being, becoming the author of you own myth. Get ready to ignite your own inner magic! 12 Monthly teachings and assignments received to your inbox. 12 Monthly Personal feedback on the assignments (both written and during coaching). The healing sessions include illumination, extraction, cord cutting, soul retrieval, death rites and more, and will be targeted to your personal needs. How to tune into the rhythm of Pachamama, celebrating the earth through the eight annual Sabbats. Starting at Summer Solstice, June 21st, when the wheel of the year again turns towards the longer nights, you will step into the first archetype of the shamanic medicine wheel: the serpent. As the seasons changes, you will work your way through the four archetypes of the of the wheel, spending three months getting familiar with each one. June 21st – September 20th, 2018: Serpent + the direction of the South; shedding the past. September 21st – December 20th, 2018: Jaguar + the direction of the West; death, rebirth and transformation. December 21st – March 2oth, 2019: Hummingbird + the direction of the North; from fate to destiny: stepping onto our soul’s journey. The whole course will take place online, making it possible for you to do join anywhere in the world. The first part of each month will be for you to read the monthly teachings and do the assignments. The 3-4 monthly assignments are to be handed in at the middle of the month, and at this time you will also schedule your monthly healing + coaching session. The second part of the month you will receive feedback on your assignments – both written (through email) and oral (during coaching) – and we will work one-to-one on your energy body through healing and coaching. 25% is considered deposit. Non-refundable. **option to divide into 4 payments of 25% every 3rd month in special cases. Email me for info and arrangement. Follow your gut, and purchase the journal and tarot deck that speaks to your heart. I have always had a fascination for the unseen, and I think you can say I was a natural born spirit-junkie. As far back as I can remember I loved hearing about everything not of this world, and when I came across a book about paganism at the age 15, my world fell into place. This earth based world view with rituals, herbs and magic simply spoke to my young heart, and soon I was climbing out my bedroom window at night, to collect herbs on the Full Moon. Some years later, in 2001 at age 18, I had my first introduction to yoga, and I have been addicted since then, practicing a varied range of yoga styles including vinyasa flow, power yoga, hatha-, yin- and ashtanga yoga. Today I am a Yoga Alliance Certified Instructor (RYT 500), educated in vinyasa, yin and meditation, as well as yoga nidra and yogastrology, and I’m a proud owner of her studio Leela Yoga in Oslo, Norway, where I have been a full time yoga instructor since 2013. In addition to being a yoga teacher, I am a certified Reiki practitioner, a star lover and astro-junkie, and a lover of earth based religions. 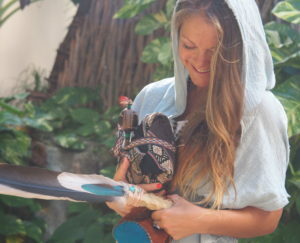 Last but not least, I am a mesa carrier, and initiated shaman in the lineage of the Pampamesayok – the Andean earth keepers of Peru – and educated in shamanic energy medicine from the Four Winds; the world’s most renown school of shamanic energy medicine. You can read more about me, my certifications, and my journey here.